September 3rd in Themes for Businesses by Wordpress Jedi . There are plenty of fancy commercial themes available for WordPress. Not all of them are easy to set up and customize. iBusiness approaches user customizations differently. It has a visual composer that lets you change how your content is displayed. You can customize fonts, colors, and everything else with just a few clicks in real-time. iBusiness makes it easy to customize your site. Just change text by deleting existing content and add your own. You can also upload images with a click or two. You can insert blocks by dragging them onto your page. The iBusiness theme is responsive and offers various elements for content customization. 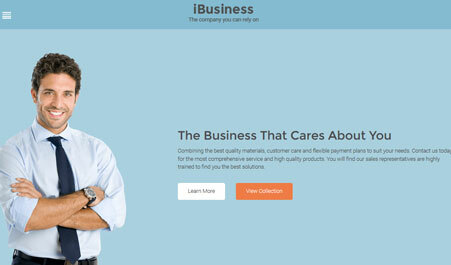 iBusiness is compatible with WooCommerce and ready to be translated. Advanced users might want more control, but for people with no design experience, iBusiness could prove useful.